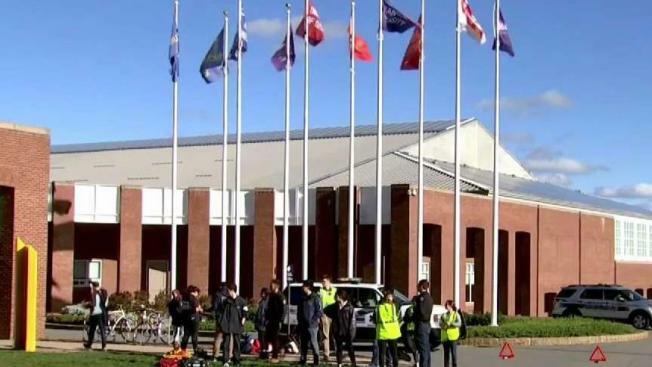 No injuries were reported after officials at Brandeis University in Waltham, Massachusetts said sodium cyanide was discovered in a living center on Friday afternoon. A Massachusetts college campus was partially evacuated on Friday afternoon after a hazardous chemical substance was discovered. Officials with Brandeis University in Waltham said sodium cyanide was found in the Foster Student Living Center, commonly referred to as "the Mods." Waltham's police and fire departments were called to the scene and a hazardous material response was then requested. As a precaution, the 177 students that live in the Mods were evacuated. No injuries were reported. The substance was removed and officials said there is no danger to the community. Officials said they expected students to be able to return to the living center soon. No arrests were expected, according to school officials.